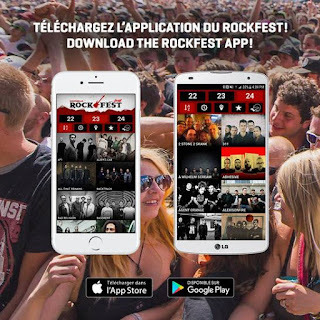 Home / canada / montebello rockfest 2017 / north america / northamerica / rammstein / rockfest / Montebello Rockfest: WIN TICKETS / BACKSTAGE PASSES! Montebello Rockfest: WIN TICKETS / BACKSTAGE PASSES! 97% OF TICKETS SOLD WITH 1 WEEK TO GO! 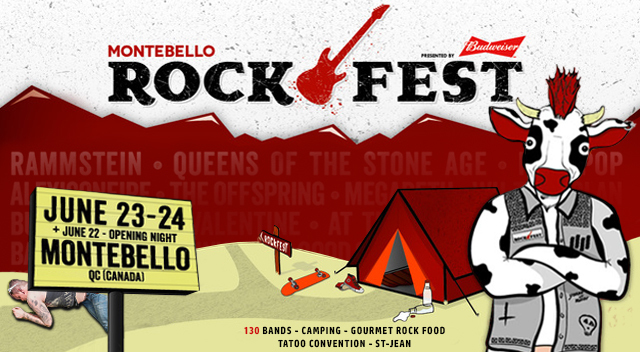 More than 97% of tickets have been sold for the 12th Edition of Montebello Rockfest, Canada's largest rock festival, which takes place IN 1 WEEK: June 22-24, 2017 in Montebello, QC! TIME TO HURRY UP AND PURCHASE YOUR TICKETS ONLINE NOW! Beware of the scalpers online! We strongly advise against purchasing wristbands elsewhere than on our website, at Empire stores and local shops. 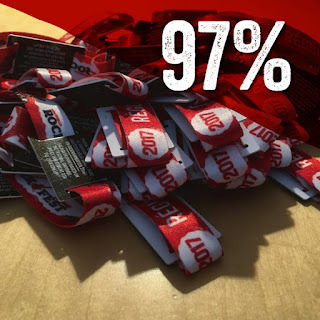 Wristbands sold by scalpers might be counterfeit, damaged or declared stolen/lost. Wristbands declared stolen or lost are deactivated in our system, so you won't be able to get in. We turn away hundreds of people every year. At your own risk! 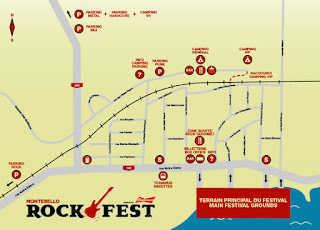 The maps for the village and festival grounds are now available! You already drank your paycheck? You did like Yessir Miller and now you gotta pay food maintenance for your kid? You didn't gather enough empty cans to afford Rockfest? 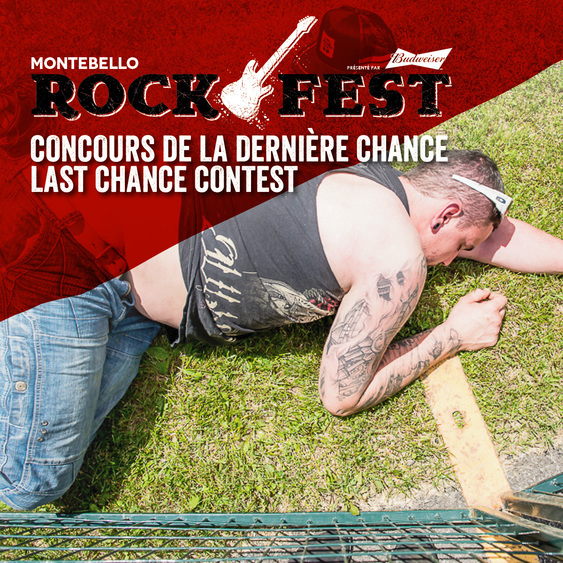 Life is hard, but don't give up, here's your last chance contest to win tickets! Winners will be contacted via email by June 20. 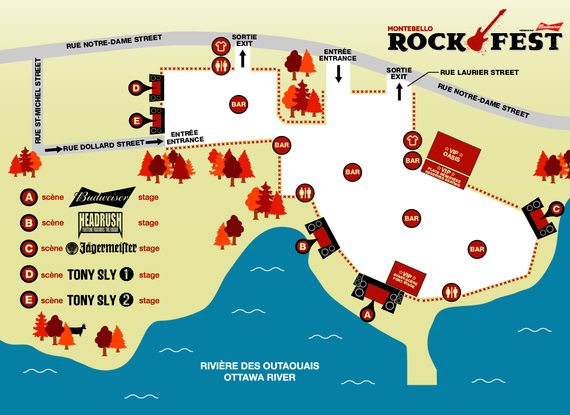 New for 2017: a Gourmet Rock Food area is coming to the church land! Food trucks with gourmet food in a laid-back atmosphere with picnic tables and ambient lighting. 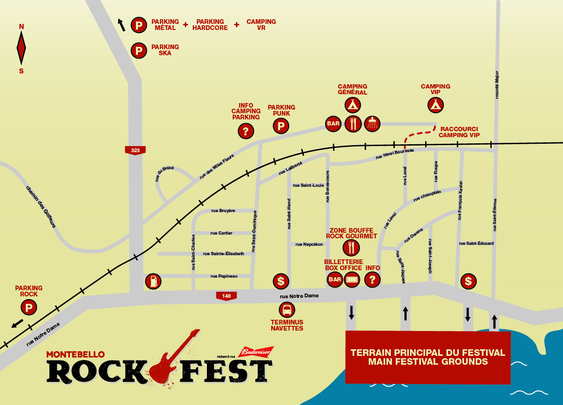 The entire church area is being revamped as a must-see during your Rockfest experience! Rockfest Founder Alex Martel and the legendary Yessir Miller gave out Rockfest shirts and gourmet burgers from L'Gros Luxe to homeless people in Montreal so they can enjoy the Gourmet Rock Food as well! If you missed the special TV show on MusiquePlus, there ya go, uncensored version! Featuring interviews and performance by Blink-182, Rise Against, Ice Cube, Bring Me The Horizon, Lamb of God, NOFX, Limp Bizkit and lots more! 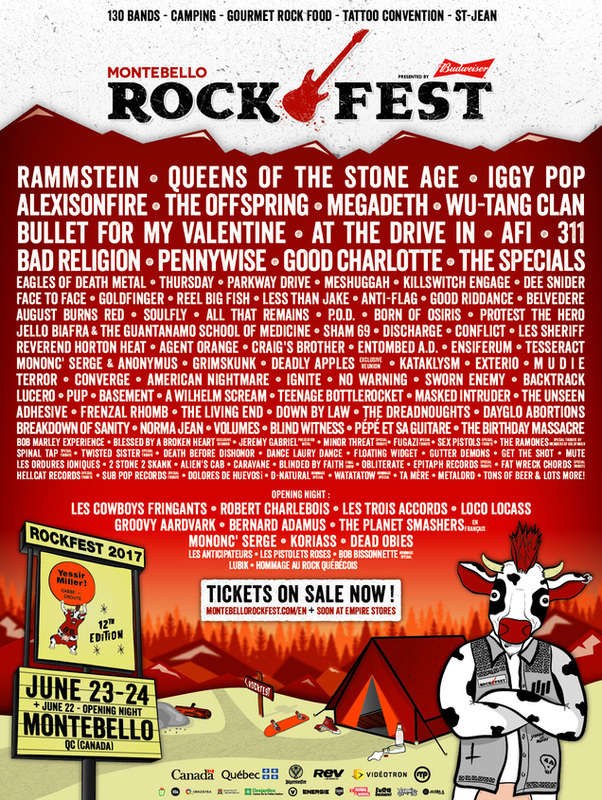 Last chance to enter our MASSIVE contest for your chance to win 10 backstage passes! Check out the brand-new music video for the song ''Further'', directed by Antoine Lamothe and featuring James Munky Shaffer of Korn.